The poster and video campaign celebrates the positive sides of traits often used as insults. There are few professional relationships more complex and problematic than the one between the marketing world and the millennial audience. Millennials’ influence, buying power and position at the forefront of innovation often make them a firmly sought-out demographic across industries. Despite that, the many elements that set them apart from preceding generations—social media, smartphones, a fervent brunch culture—tend to be the source for a certain Seinfeldian, “What is the deal with hashtags?” brand of mockery. The loudest criticism tends to come from those who understand the generation the least, writing millennials off as self-absorbed with little to contribute. 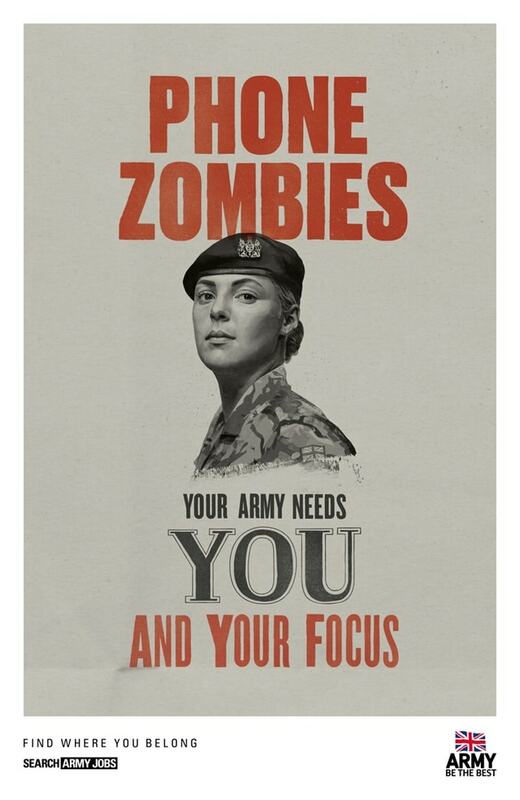 But one organization, the British Army, is hoping to convince millennials that the traits often dismissed as negative are actually signs of strength and potential. 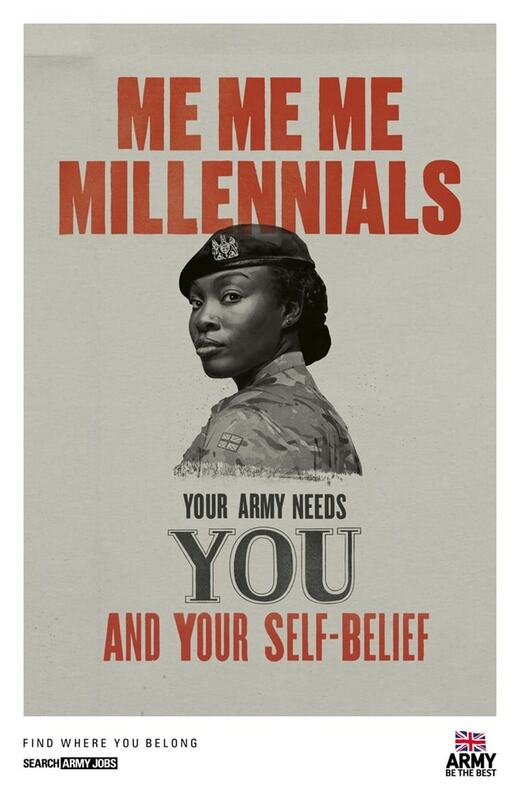 As part of its This is Belonging campaign, the British Army has released a collection of posters that center on the stereotypes often used to categorize millennials and Gen Z’ers. 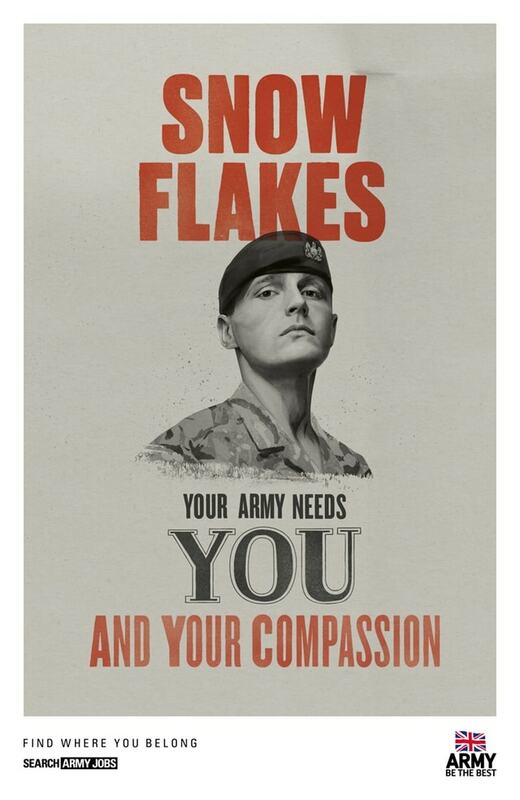 However; instead of using them as a tool of mocking, the “Your Army Needs You” ads repurpose them as evidence of qualities befitting of any good soldier. So all of those selfies sitting on Instagram? That’s actually a pretty good indicator of confidence, according to the Army. And while internet trolls whine about “snowflakes” and gamers, the Army actually applauds their compassion and focus. Since its release, the ads have been criticized from multiple contingents, with some calling it political correctness run amok and others seeing it as a jab at millennials rather than a celebration of their principles. 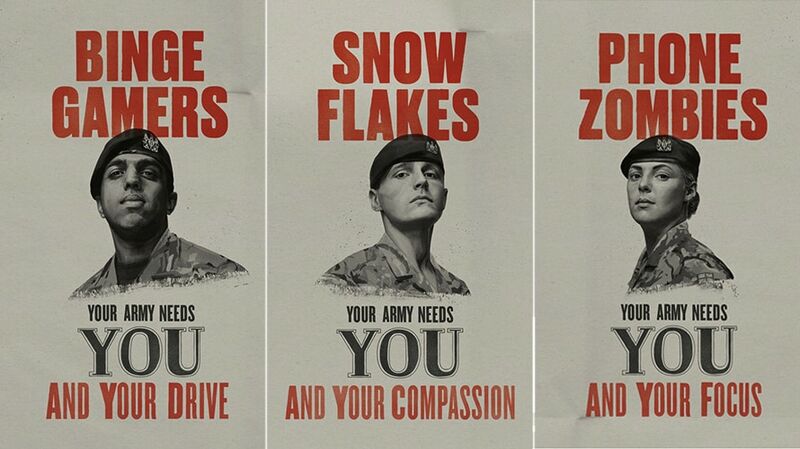 The star of one poster, with the headline blaring the word “Snowflakes,” is reportedly even thinking of resigning from the service. 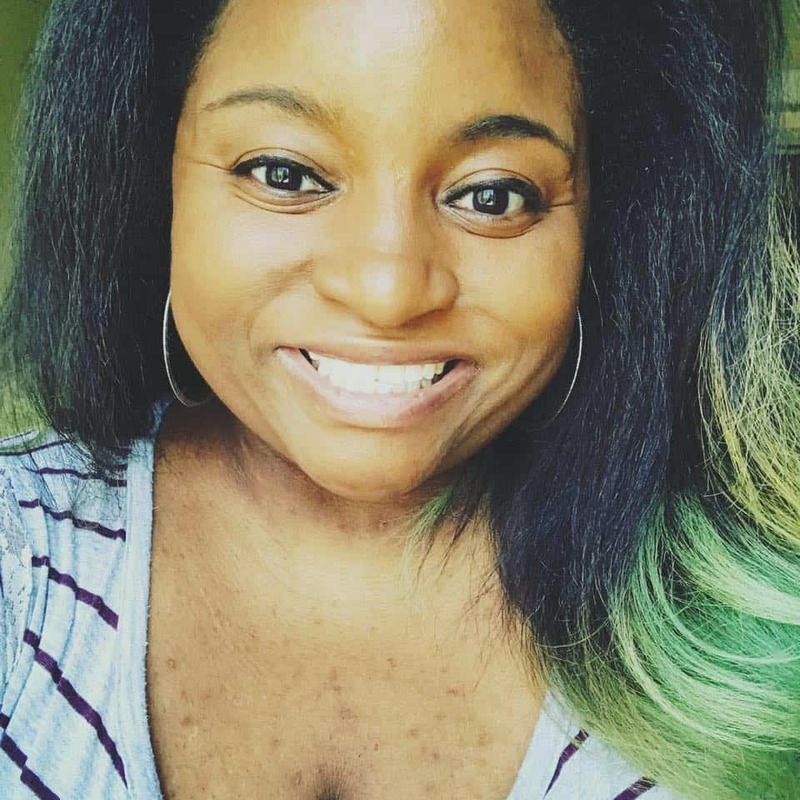 Phrases like “Snowflakes” and “Me Me Me Millennials” as they are shown on the posters, certainly fall in step with familiar criticisms, but only at first glance. 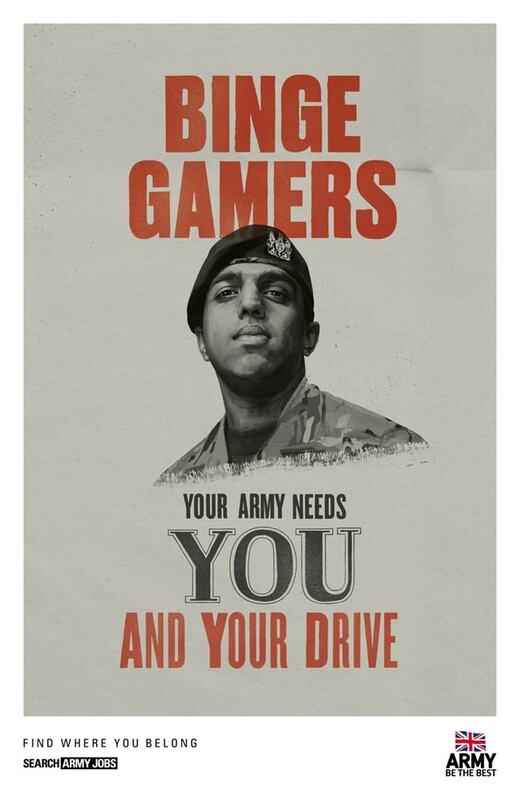 The British Army appears to be taking older detractors to task for failing to see just what the younger generations have to contribute to society. In a recently released statement, Major Gen. Paul Nanson made it clear that their recruitment strategy is to address the potential for greatness that sits below the surface.